I used a 44 gallon drum, dark blue, which originally housed glucose syrup for a sweet factory. The darker the container the better, it helps slow down the growth of fungi. Outlet thread adapters for the drums – to seal the holes and attach you hose or pipe for the inlet and for the bottom the adapters need to be able to glue the PVC 20mm pipe on both sides of the drum. Rinse the container properly, just with water – if you can help it never use detergents, if you do just make sure you rinse it extremely well thereafter. The drum that will contain the sand filter, cut the top out, and then make some sort of covering to stop dirt landing on your water. For the storage drum, leave the top intact. Two holes are needed for the inlet and outlet. But, it you are using a different method for the inlet – don’t drill the top hole – some people have a reservoir at the top, which they dump water into which then drips through a slow release grid into the sand filter. The top hole you should maybe drill after you have filled your sand, as you don’t want too much of a gap at the top for the water drops to fall – the less you disturb the schmutzedecke surface the better. The bottom hole, be careful to work out where your exit pipe grid is going to sit, as you want to make sure the stones cover the grid but at least 4 or 5cm. 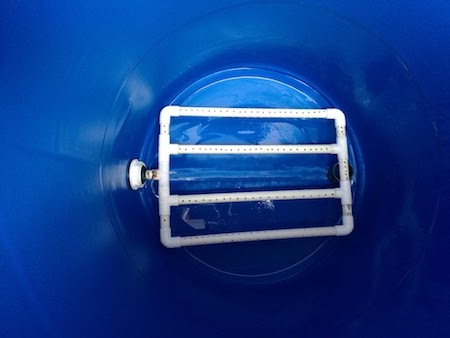 Your outlet grid is going to be a square that can fit flat at the bottom of the drum – obviously lifted a little off the base, supported with plastic stands so that the weight of the stones and sand do not force the grid to bend or break and end up on the very bottom. Measure the sizes you need of the 20mm PVC pipe and cut them to size, then by using the 90 degree elbows and T-junctions, make up the grid WITHOUT gluing them in place, to make sure you have the right size. Drill 4mm holes all around the PVC pipes – make sure you remove all the plastic pieces before gluing it together and putting it into the drum. Create your outlet hole with the tread adapters to make sure you have a non-leaking, secure connection for your outlet grid. Check your grid and outlet thread adapters do not leak, but putting water into the drum before you start filling the stone. There is no easy way of going backwards in this process. Make a plastic stand on either side, I used two, but it may be a better idea to have 4 to support each side of your square. Where your 20mm PVC pipe comes out at the bottom of the drum, fit a 90 degree elbow and then measure a pipe that will go to the top of the drum for now, we will cut it down to size later. No gluing yet. This outlet pipe will get another 90 degree bend a piece of pipe long enough to get the water into the storage drum and another 90 degree bend to allow the water to drop into the tank and not run back along the pipe and drop onto the ground. Use a cistern to allow the inlet to stop when the correct level is reached. 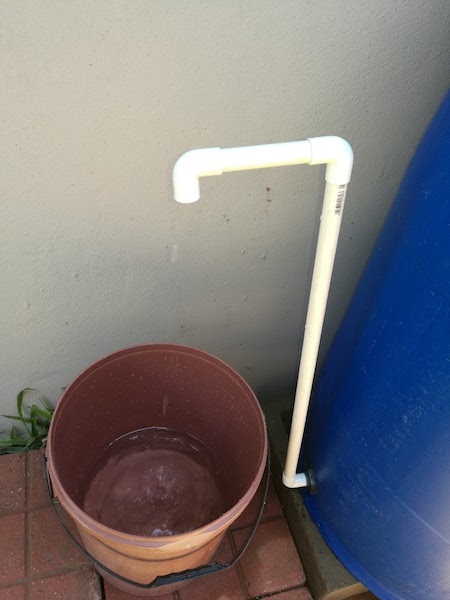 With my 750l JoJo, I got this cistern with the adapters to fit a “Gardena” connection for a hosepipe. Then make a square 20mm PVC inlet drip grid – this is so that you do not upset your precious schmutzedecke level. It may be a good idea to fill your sand and stone before drilling the hole for the inlet, as you don’t want this to be too high or low. The water should always be 5cm above the top sand layer, then I add another 5cm above that where your inlet grid will be. Make a square – or other type of grid (be careful of where the ball-valve comes down as that needs free movement) – before gluing make sure everything fits and moves as it should. Drill 2mm holes on the bottom of the pipes you have cut for your grid, this will allow for a slow and gentle trickle of water coming into the drum. I used aluminum rods to brace the inlet grid as the 20mm PVC gets too heavy for the ball-valve adapters. Once you are sure of all the connections glue the PVC pipes and adapters together. Brace everything and carefully add the stone, leveling it as you fill. 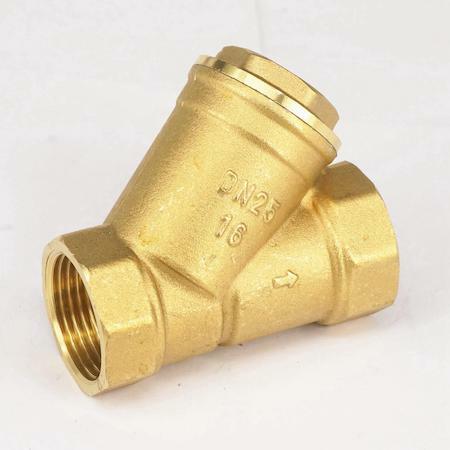 smaller than 0.7mm – filter sand, this should take it to 10cm below your top inlet grid. Install the inlet grid with supports and test the system. The outlet pipe can now be measured and cut. 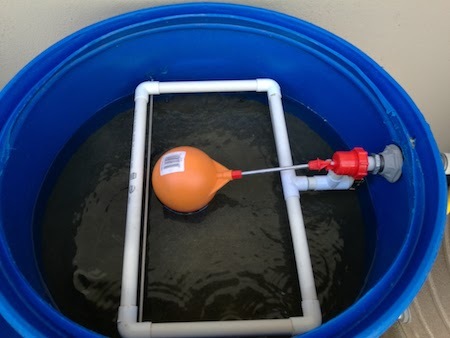 You want to connect the top elbow at the same level of the water line inside the drum at the 5cm above the sand – so that the water stops draining at the level. 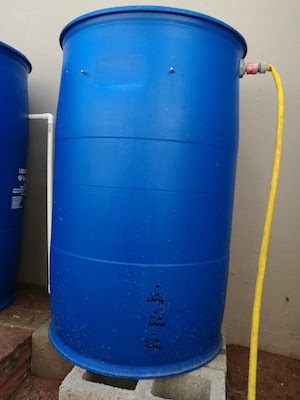 I did not glue the top two elbows and pipes together, in case I want to move the storage drum around – or like I often do, by taking the outlet out of the storage drum and feed it directly into my drinking water container – for extra fresh pure drinking water. This system should run for about 30 minutes each day for 3 weeks before you test the water for drinking. Don’t let your drinking water stand for too long in this storage drum. Make sure your system is in the shade as much as possible, sun and water in plastic containers are not a great recipe for healthy drinking water. Next week, my lessons learnt and the results of the water tests.